The Premier 2.0+ from DVS is a sneaker design steeped in history but with a modern construction. 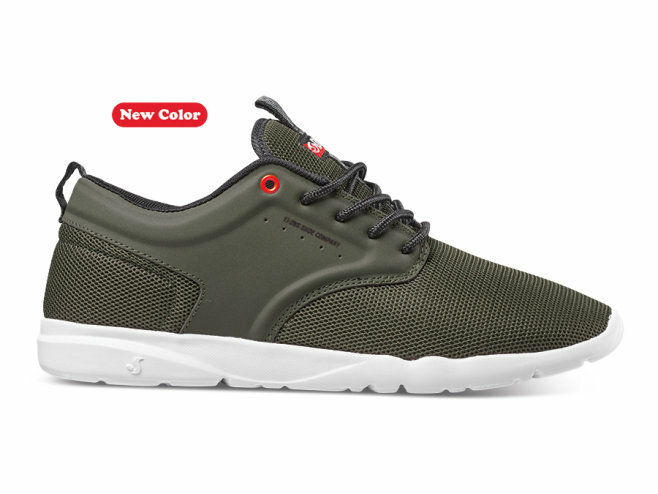 Made with a lightweight, flexible Vaporcell outsole that provides the highest level of comfort and a breathable mesh upper that keeps your foot cool. There is also a die cut EVA footbed for added support and cushion. Try a pair on and you won’t want to wear anything else.